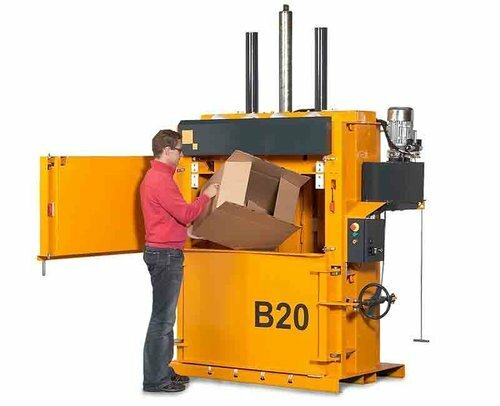 Great for handling large boxes. 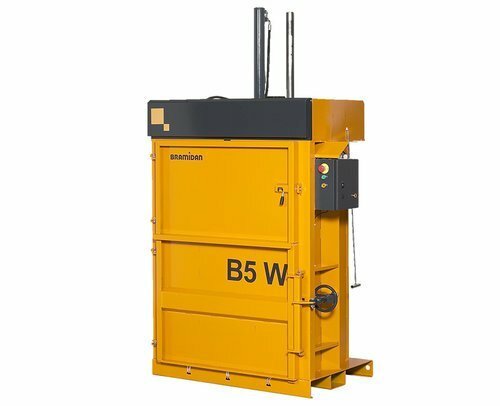 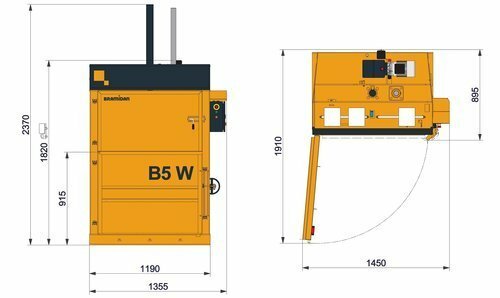 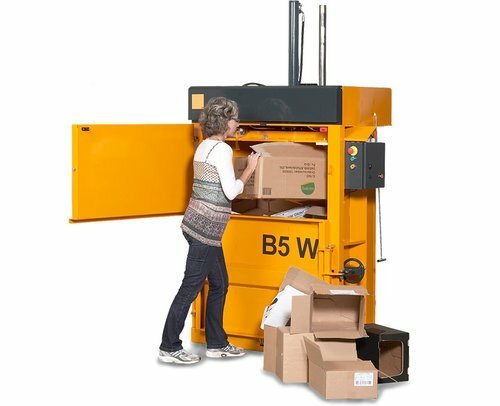 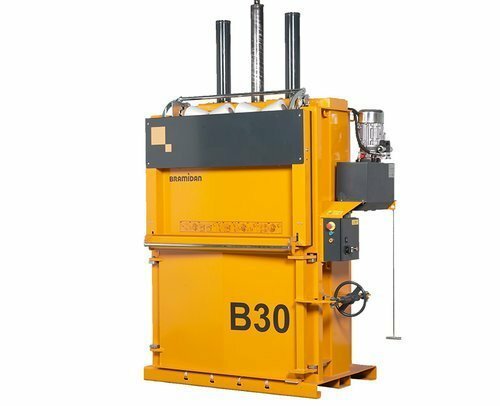 The B5 W is a machine which has been constructed to service users with smaller amounts of waste, but who still need a machine to handle bulky materials. 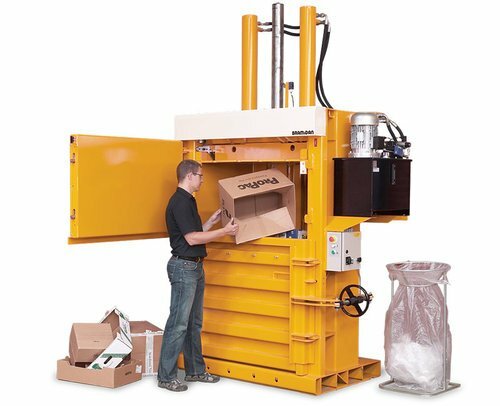 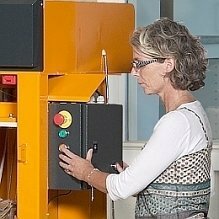 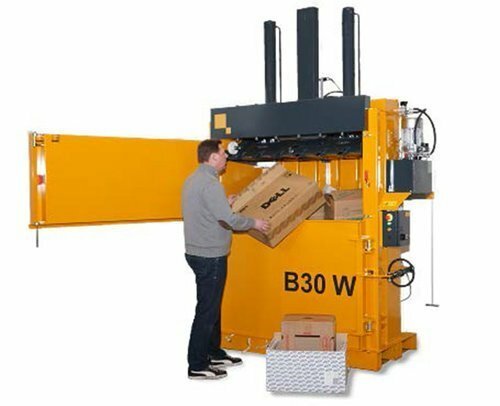 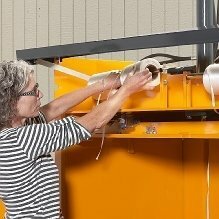 The machine is characterized by a very wide filling opening of 1 metre, which is an advantage when handling larger cardboard boxes. 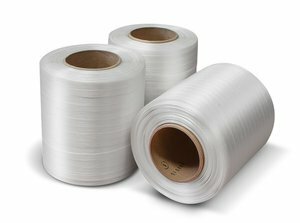 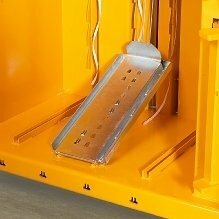 The chamber is equipped with rows of efficient barbs, which keep the material back and ensure optimum filling. 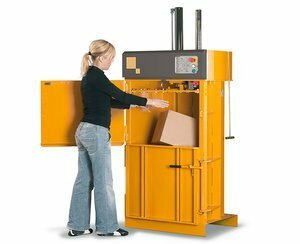 The machine has a full-indicator, which tells you when the chamber is full and ready for baling.